Last night was my brother's fiancee's birthday party. We started off with a potluck dinner at their apartment, and then headed over to Waba for a little Korean karaoke. Have you ever tried Korean-style karaoke? It's one of our favorite group activities. Instead of singing in front of an entire room or bar, you rent a private room just for your friends. By the end of the night, everyone ends up singing and dancing on top of the tables. We love it so much, we're going back in a month for my little sister's bachelorette party. Yes, both of my siblings are currently engaged. No pressure, boyfriend! 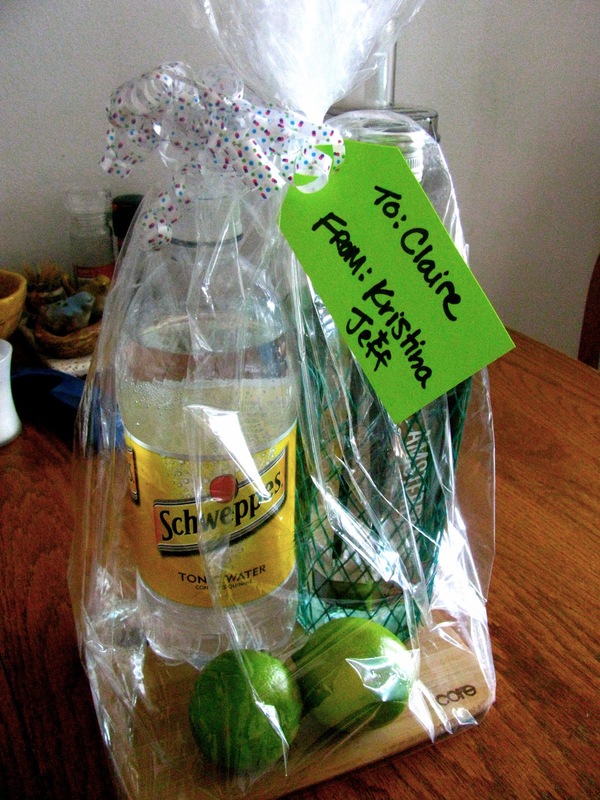 I thought I came up with a pretty cute gift idea: a gin and tonic kit (or as we call it in my family, a G&T Station). Gin, tonic, limes, and a mini cutting board. I wanted to add a little knife too, but it turns out they don't sell just one knife by itself anywhere. So anyway, the hair! 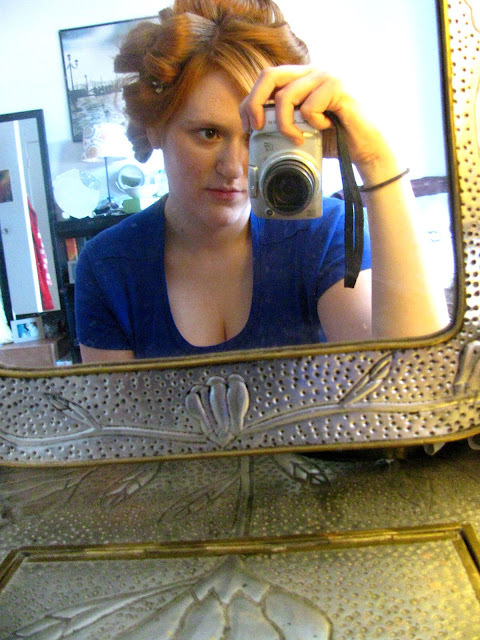 I thought since I was just watching the Olympics all afternoon anyway, I might as well curl my hair while doing it. I've recently discovered how to get my stick-straight hair to cooperate and stay curled all night. Getting your hair to curl starts in the shower. The trick is to make sure you aren't over-conditioning. Using too much conditioner will weigh down your hair and take away your curls' staying power. Make sure you are only putting conditioner on your ends. Before I start curling, I let my hair dry naturally for 20-30 minutes and then blow dry it. I use Redken Guts 10 Foam, pulling up my hair in sections and spraying directly at my roots. I also use a volume spray, and then blow dry upside down. I add a little hairspray after I finish blow-drying, which adds a nice base of product to my hair to help it hold the curls. I recently invested in a Hot Tools 1" curling iron. I had been resisting the idea of buying a more expensive curling iron for a while because I couldn't see how the "professional" curling iron would do better than my old one. It has made a huge difference! The new iron gets so much hotter, which helps set in curls and makes it take much less time. It also is much so much easier to use. Before curling each section of hair, spray the section with a thermal hair spray (I love Kendra Thermal Styling Spray 19) and comb through with a fine-tooth comb before curling. 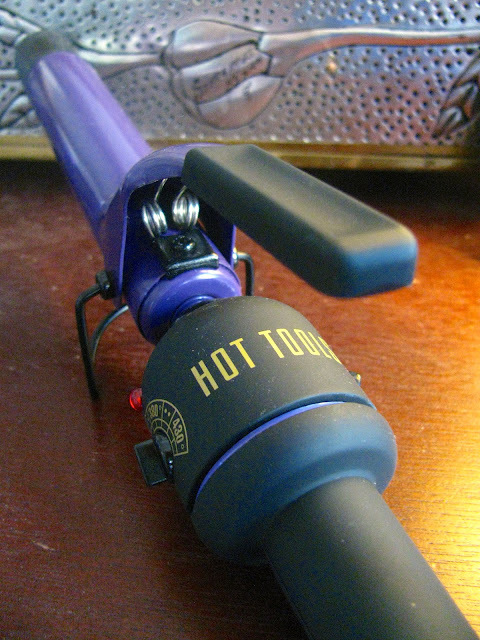 When curling, focus on the top of the section first before pulling the bottom of your hair into the curling iron. 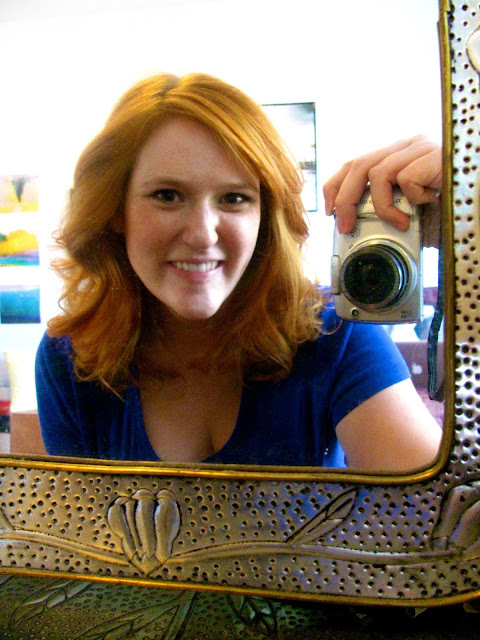 This is the most important step for getting stubbornly-straight hair to set. As I pull each section out of the curling iron, I immediately pin the curl up using a duck-bill clip. Once my whole head is curled and clipped, I let it set for at least 20 minutes to let it cool completely and give the curls staying-power. For good measure, I usually add a couple sprays of hairspray while it's up there. The final step is to let down all of the curls, run your fingers through your hair, and add another layer of hairspray. And voila! Curls that last all night. Seriously, I looked at my hair when I got home at 2am (ahem) and it still looked great! Even after hours of singing, dancing, and sweating, those curls held up. Let me know if any of these tips work on your hair! First, let me tell you how much I LOVE Korean Karaoke, I hosted a bachelorette party where we ate KFC (Korean Fried Chicken) and sang Korean Karaoke and it was one of the best nights! Love the tutorial on the hair, I couldn't agree more! Thanks so much for stopping by my blog and commenting! I've added you to my google reader! Really great tips! Unfortunately I have frizzy wavy hair though! nice "meeting" you- now following!